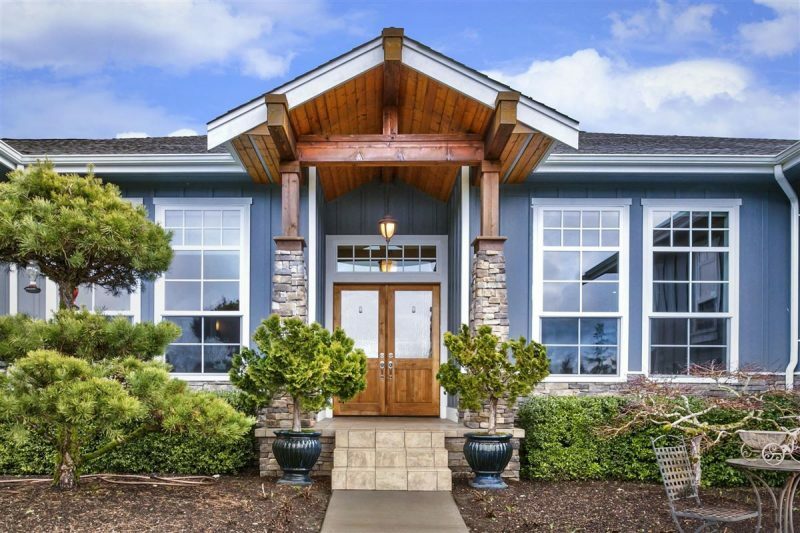 This striking custom home in Kingston, Washington is located within the White Horse golf course community. 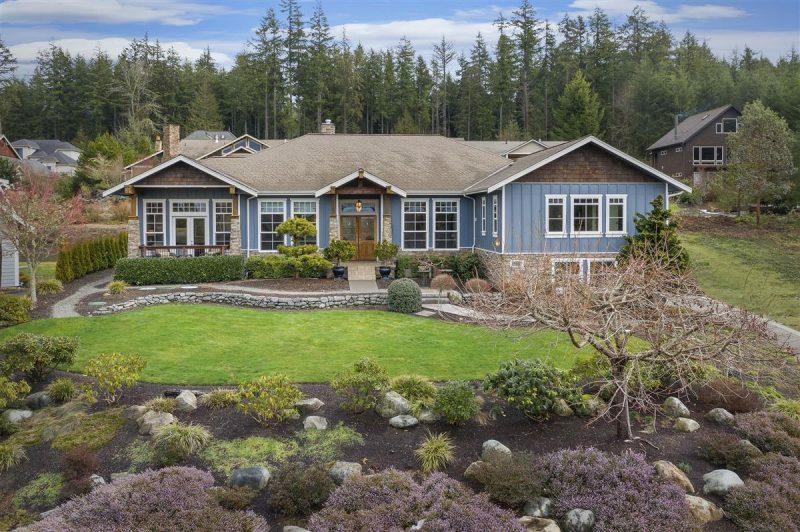 This dignified property has an exterior of cement siding and stacked stone and accented by cedar shingles. The elegant covered entry has extured rain glass double doors flanked by commanding stone pillars. 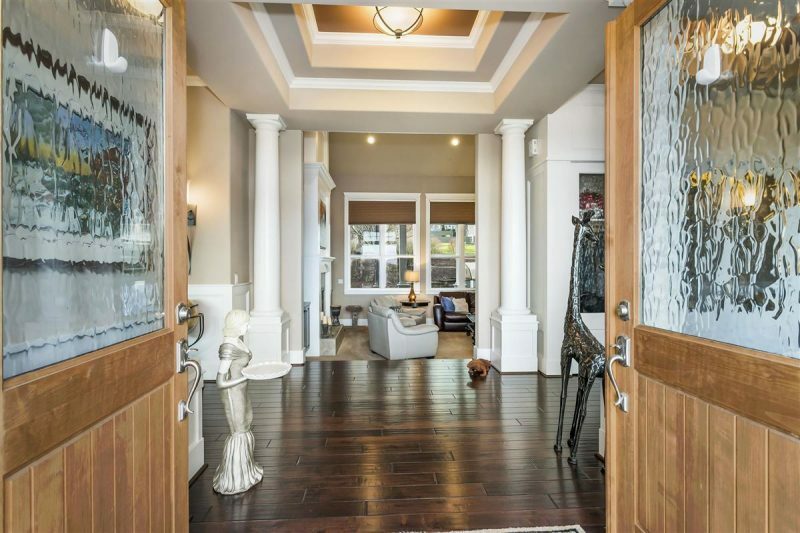 Enter to hand scraped walnut floors, classic pillars, and a floor-to-ceiling lighted wine cellar. 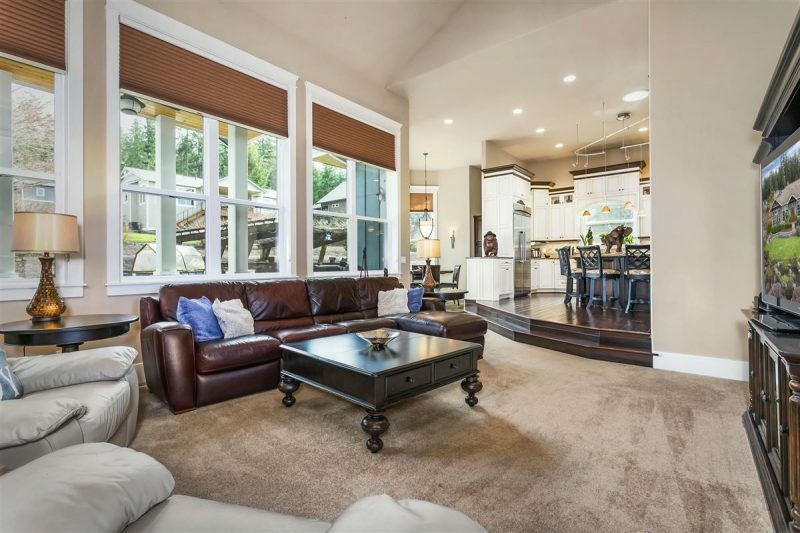 Oversize windows are situated to bring in natural light, and showcase sweeping views of the Olympic Mountains, and the absolutely breathtaking sunsets. The gourmet kitchen offers a dreamy place to create delicious memories. It has professional grade stainless steel Thermador appliances, a commercial grade ventilation hood, and a Daccor drawer microwave. 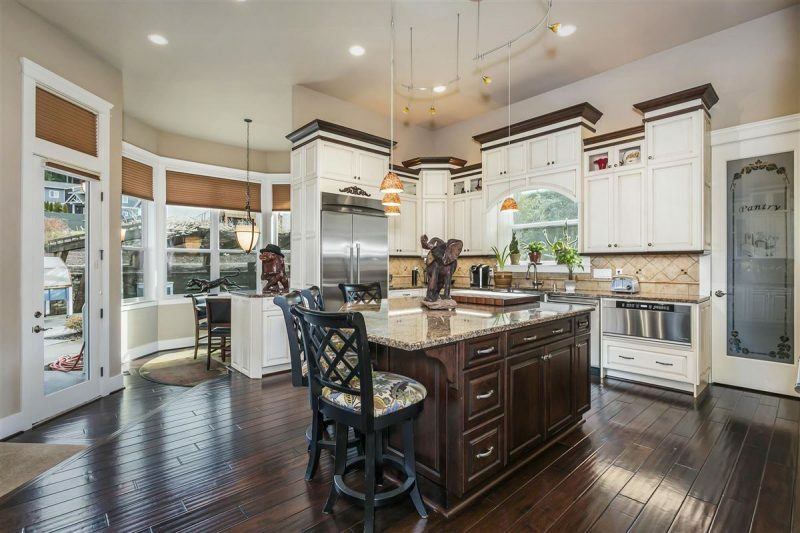 Granite countertops, and custom cherry Pacific Crest cabinetry with soft close doors and drawers. The kitchen also includes a walk-in pantry, center island with bar seating, convenient pot filler faucet, and a charming apron sink. 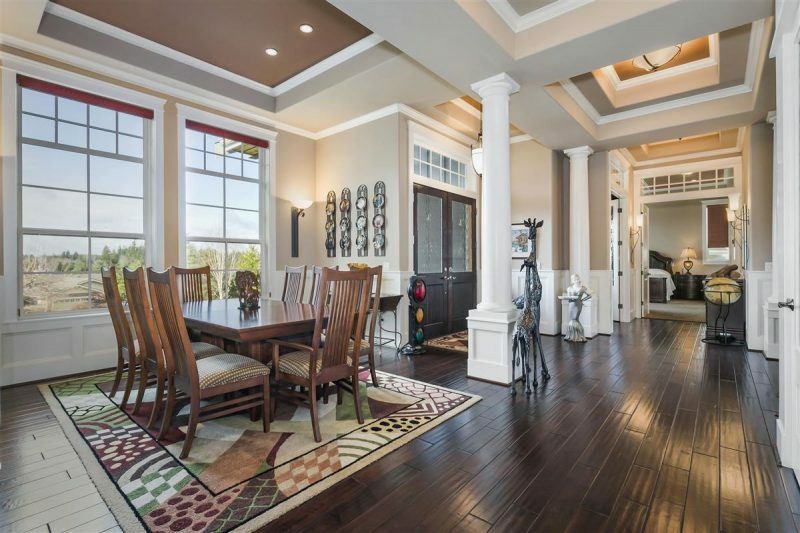 Enjoy a formal dining room, and sun-drenched breakfast nook overlooking the rear patio. 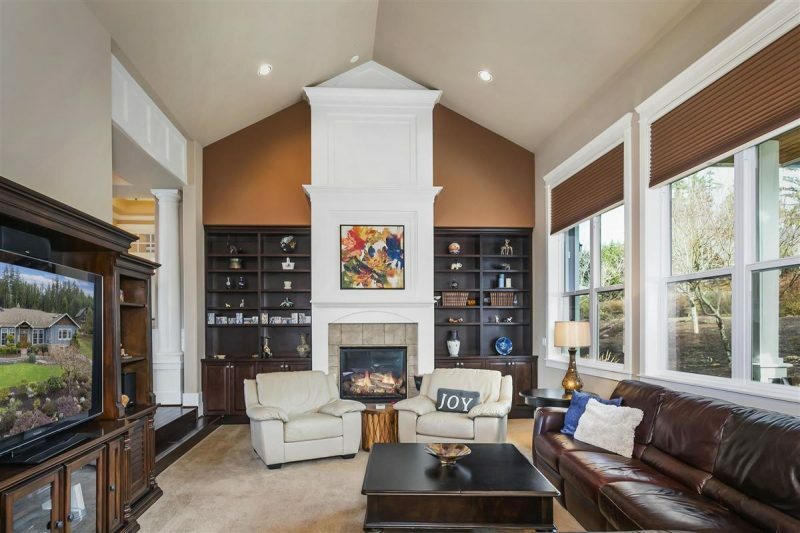 The stately great room has soaring vaulted ceilings is anchored by a propane fireplace. The ceiling height mantel is flanked by custom bookcases, perfect for displaying your treasured collections. 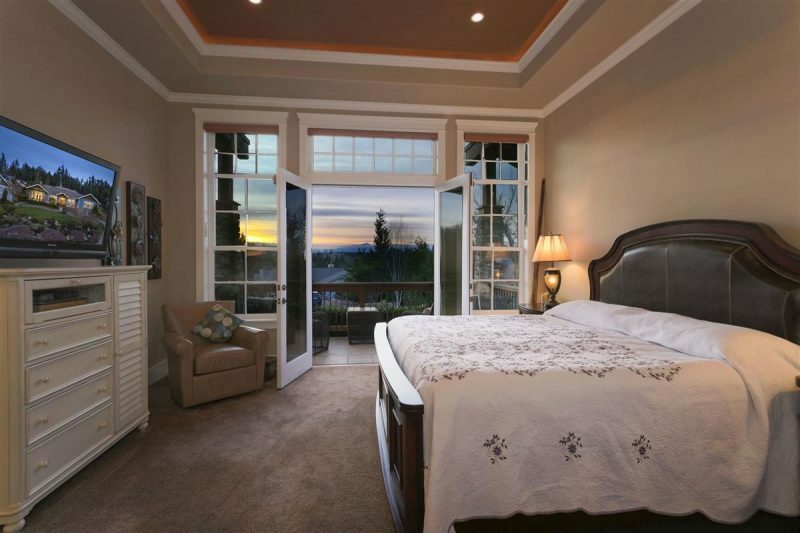 The gracious main floor master suite features French doors leading to a private patio. The master bath offers a jetted tub, gorgeous walk-in shower with multiple shower heads, double vanities, and even an exercise room. 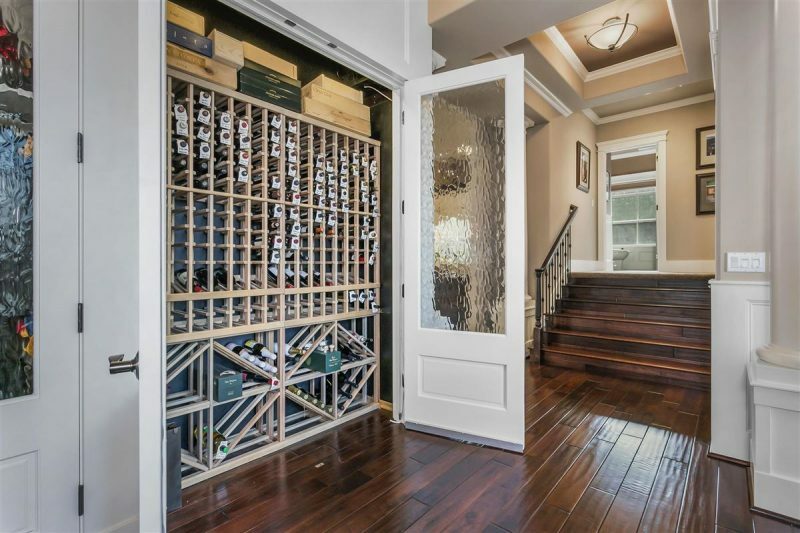 Enormous master closet has a private laundry, and plenty of storage. 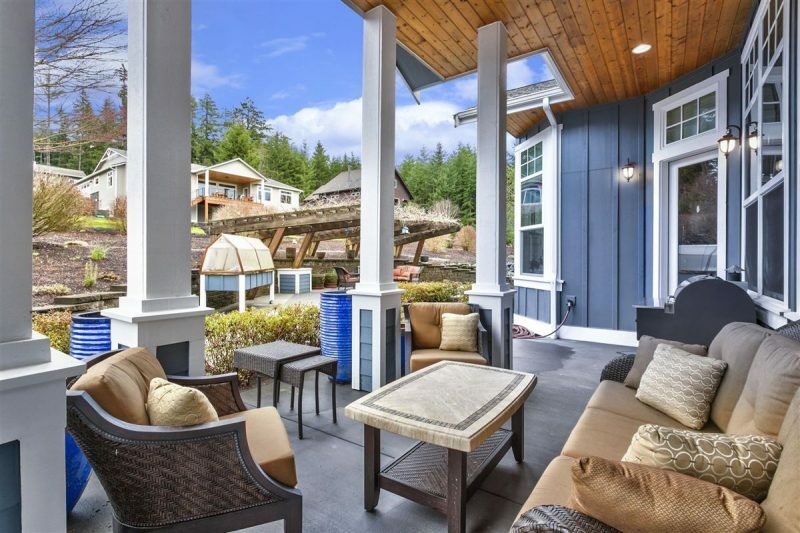 The pergola on the spacious patio is great for entertaining. An attached insulated garage has solid wood doors, built-in storage, and a shop area. White Horse offers residents an award-winning golf course, clubhouse with restaurant, and nearby access to popular trails and beaches. 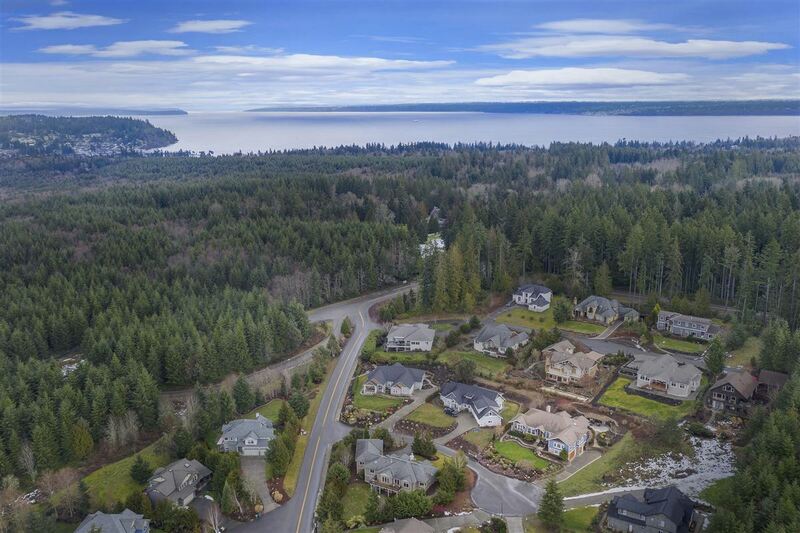 This home is listed for $989,000 with Windermere Real Estate, an affiliate of Luxury Portfolio International®.